According to reports, the 99-year leasehold land parcel zoned for private residential along West Coast Vale, with a land area of approximately 203,532 sqft has only attracted 6 bids from property developers. In comparison with its neighbouring site, which Waterfront at Faber (under construction) is sitting on, drew 3 times more interest with 18 bids in total back in June 2013. That was shortly before the Total Debt Servicing Ratio (TDSR) framework was implemented. EL Development topped its competition with a bid of S$551.15 per square foot per plot ratio (psf ppr) for the West Coast site. This bid is 20% lower than what World Class Land (developer of Waterfront at Faber) paid for in 2013 for the neighbouring site, which was S$687.42 psf ppr. Market watchers suggested that this latest government land sale (GLS) has clearly reflected the weak market conditions on a certain level, thus resulting in such moderate interest from all the 6 bidders. 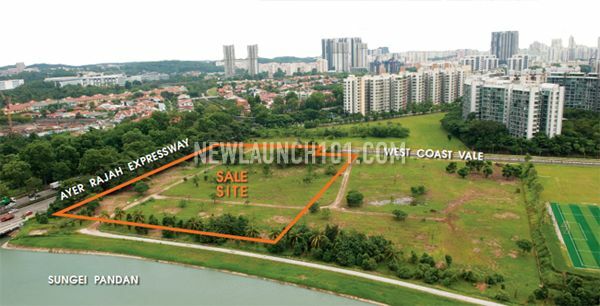 Furthermore, the site is located along the Ayer Rajah Expressway (AYE), which could deter buyers’ interest for the future development due to noise factor. Thus the selling price has to be adjusted to draw their interest in such challenging property market. Also being mentioned, 1 of the other considerations is the potential rise of interest rates which could put on more financial burden to the property buyers. Looking at the current sales (as of 05 Aug 2015) of Waterfront at Faber, they have still 72 units which are not sold, out of 210 in total. By judging on its sales figures, it may explain why property developers are taking a cautious and conservative approach for the land parcel at West Coast. According to property experts, the absence of mega Chinese developers were missing from this tender and the low turnout for this GLS could be a strategic move from the other developers who may be saving up for more lucrative confirmed sites launched under the 2H2015 Government Land Sales Programme. EL Development’s bid for this West Coast site was approximately 3.2% higher than the next bid (S$533.96 psf ppr) from a joint-venture between Hoi Hup Sunway (also developers for Sophia Hills condo) and Oriental Worldwide Investments. At the bottom of the table of bids, a tie-up between Kheng Leong Company and Singland Homes submitted a bid of only S$415.69. As mentioned by Lim Yew Soon, EL Development’s managing director, the breakeven cost for this land will be a little under the S$1,000 psf mark. When factoring other overheads and costs, the group is hoping to launch this new residential development in a year’s time and sell the units for between S$1,100 to S$1,200 psf on average. The proposed new launch development at West Coast will have 2 towers standing at 40-storey tall, consisting of approximately 700 units in total, ranging from 1-bedroom to 4-bedroom apartment units and also some strata landed homes as well.